Ahhhh... boating! Everyone loves boating! 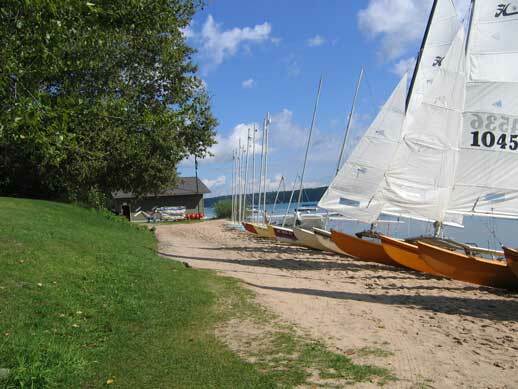 The Camp Michigania Yacht Club has Butterflies, Ensigns, Flying Scots, Hobies, canoes, kayaks, windsurfers, and a Walloon for campers sailing pleasue. The staff gives lessons about all the boats. 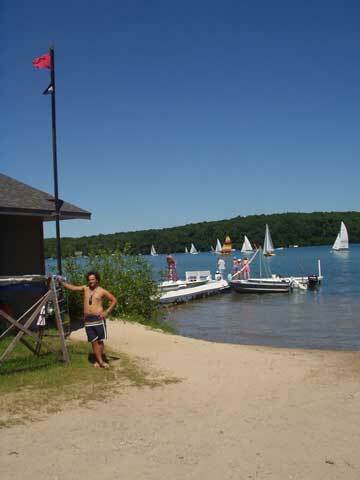 There is a regatta on Thursdays. 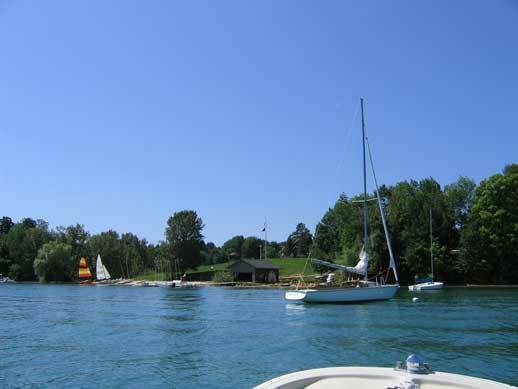 Boating is quite possibly the coolest program area in the world. 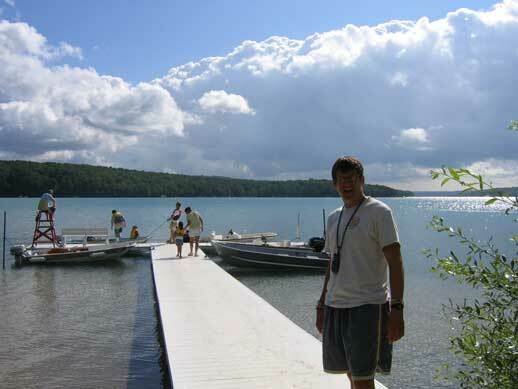 The old boathouse was falling apart in 2004 so the maintenance guys rebuilt it over the winter season. It looks just like the old one on the inside. 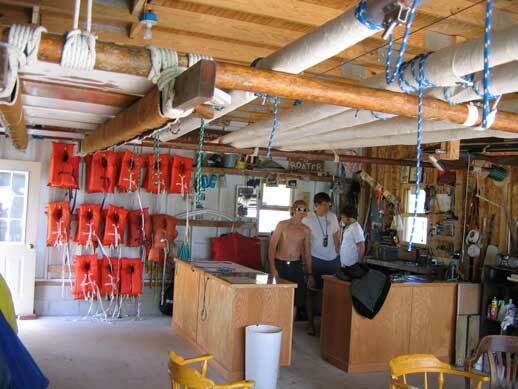 The sail loft was built by Jerome Rand and Charlie Rang with special guest Nick Touran.